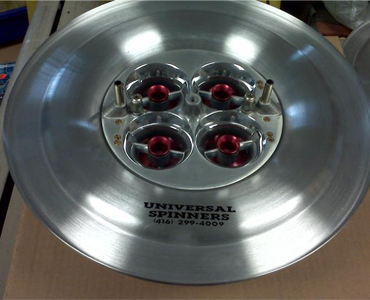 If you have a need for speed, you need to give Univerasl Spinners a call at 416-299-4009 and bring your car project by our shop at 1950 Ellesmere road unit 11, Toronto, Ontario.. Our shop is top of the line in toronto. 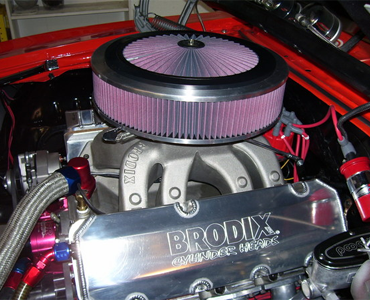 Universal Spinners is one of the largest custom air filter manufacturers in the GTA for all Muscle Car Ownersstrong>. We create top of the line filters with the desire to give racers and vehicle operators the highest performance and highest quality filters available! Universal Spinners (1984) Limited has been operating in the same location since 1980 under the skilled craftsmanship of its president Mike Gentile. Feel the difference quality filters make by choosing one of Universal Spinners innovative. 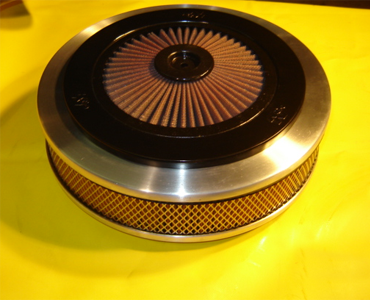 For over 30 years we have been producing top of the line filters for many industries. Now is your time to experience the difference Universal Spinners Filters make. Premium and economy filter available. Element is 3" high standard, or maximum option of 5" high. 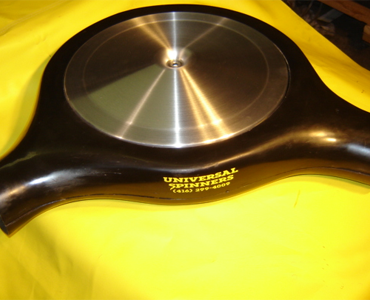 Top and base plates available in carbon fiber or fiberglass. Choice of colours with fiberglass top and base plates. Base plate can accept multiple carb or throttle body combinations. Flows more than 1200 CFM. Custom Spinners Toronto: Probably the best damn filters built in Canada.